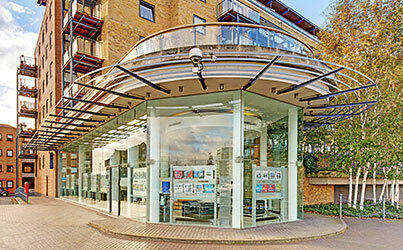 Overlooking the Limehouse Basin, Hurford Salvi Carr’s Dockland’s Office has a privileged waterside location that puts it at the heart of the local community. It is the only estate agents on the Limehouse Basin and has been helping the community buy and sell properties since 2003. The office has a long established team of property advisors who have built up a comprehensive knowledge of the area and its properties. As well as helping clients sell and buy properties we have built ourselves a reputation as the friendly property advice hub for the area.